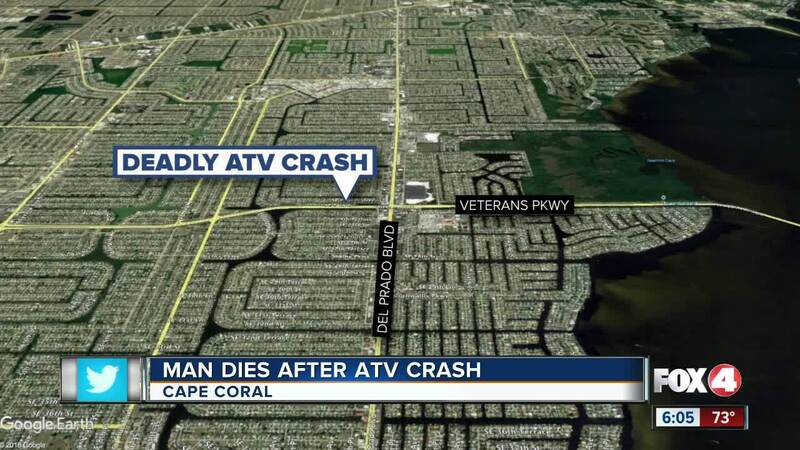 CAPE CORAL, Fla. -- A Cape Coral man died early Saturday morning after police say he fell off a 4-wheel ATV. According to Cape Coral Police, 50-year-old David Giompalo II died at the hospital. They say that just before 1:30 a.m. Saturday, Giompalo drove away from a residence in the 1400 block of SE 23rd Terrace and traveled about 100 feet before the ATV veered left, ejecting Giompalo onto the roadway. The now-unoccupied ATV continued across the lawns of two homes before striking a parked SUV. Giompalo was not wearing a helmet at the time, and police say alcohol or drugs were a factor in the crash.